This year's small sets branch off from the typical humanoids and are instead a group of legendary creatures. 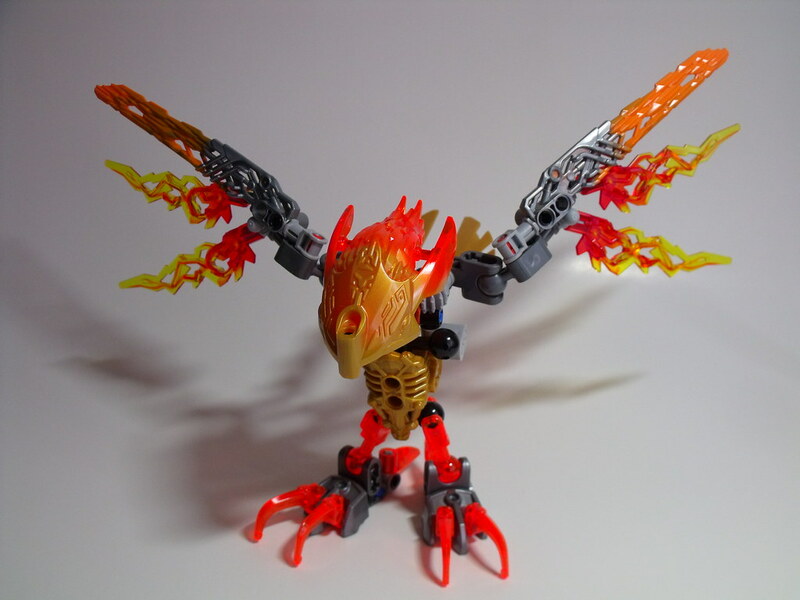 Ikir appears as a phoenix-like creature, but will it rise aflame or turn to ash? The boxes have not changed from last year's design. Frankly, there's little to speak of here that has not been said before -- overall catchy design that uses minimal paper. There's no comic strip in these boxes but it can be found in the instructions. 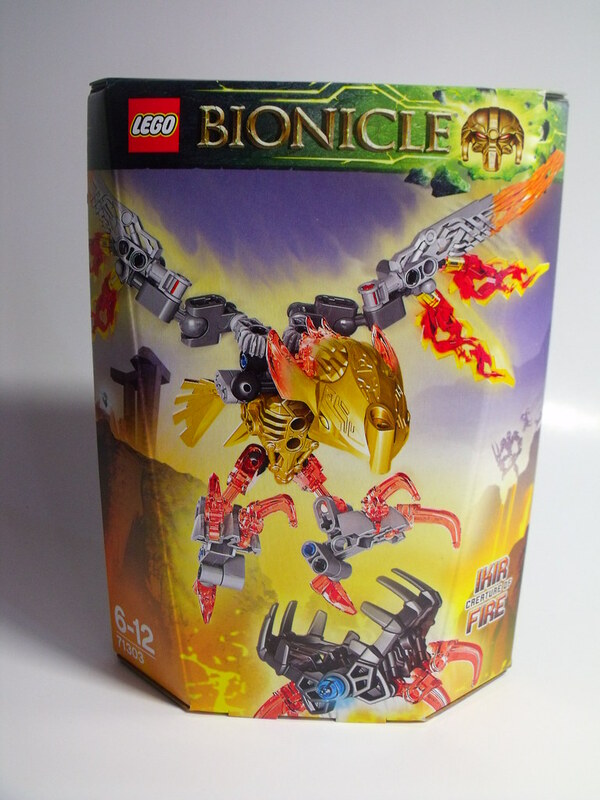 I was pleasantly surprised by the amount of Technic pieces in this set. 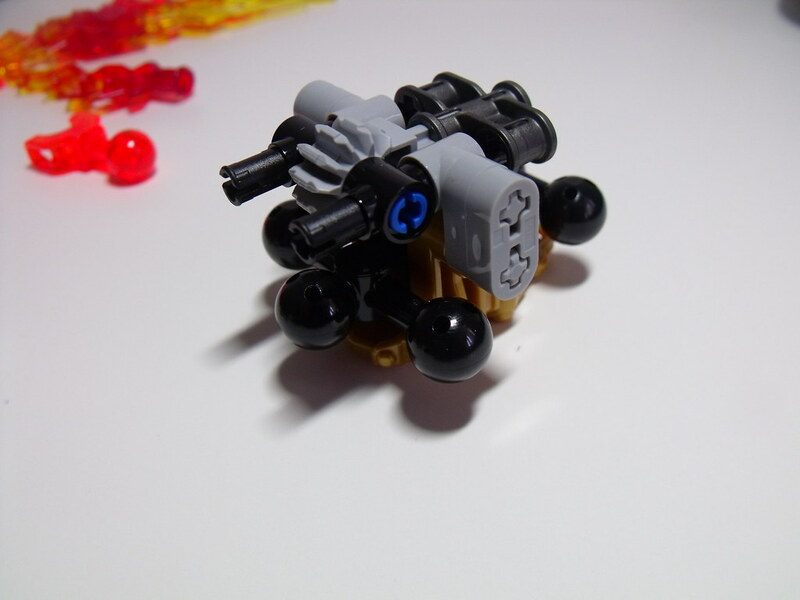 Even last year's small sets were lacking in complexity, so the pieces provided here offer many great opportunities. 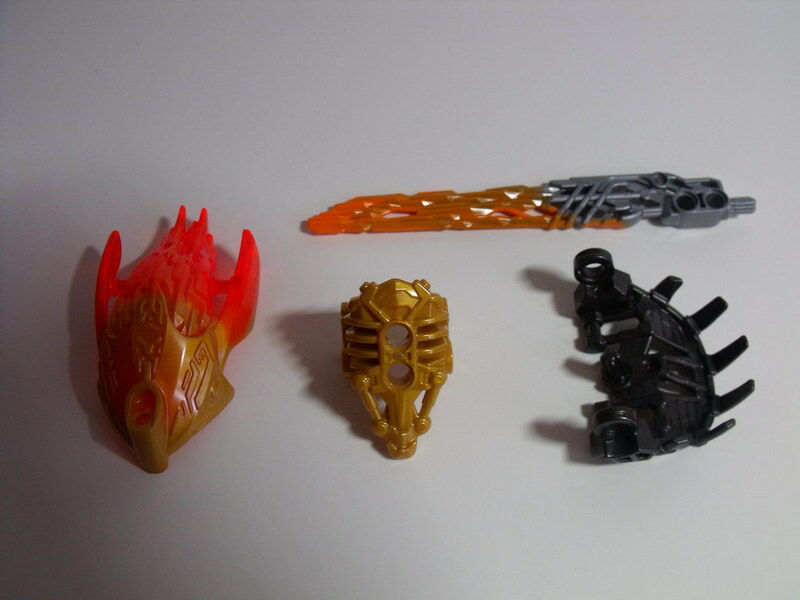 There are some new parts, most of which are large BIONICLE parts, but what interests me most is the new gear levers. These pieces have potential to provide plenty of new or simpler functionality to moving functionality. 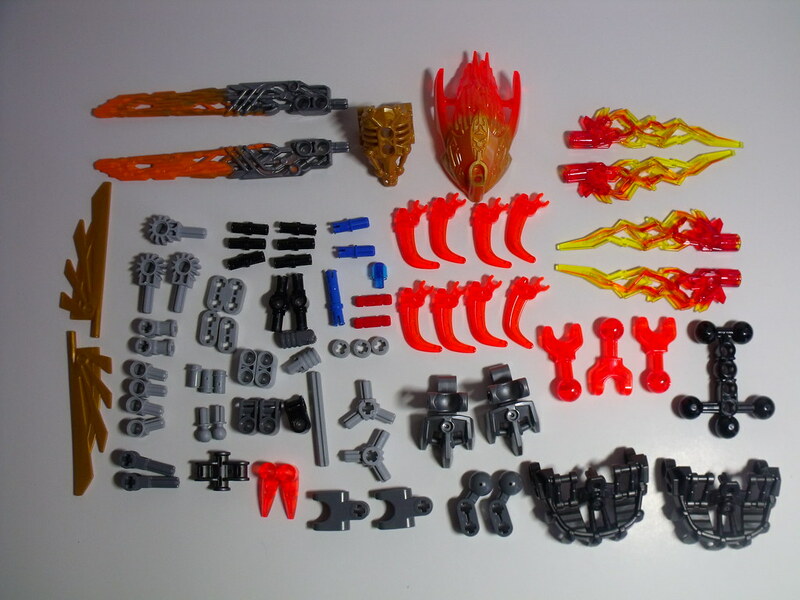 Even with the added Technic pieces, the basic structure of this set is largely identical to all current BIONICLE and Hero Factory sets. 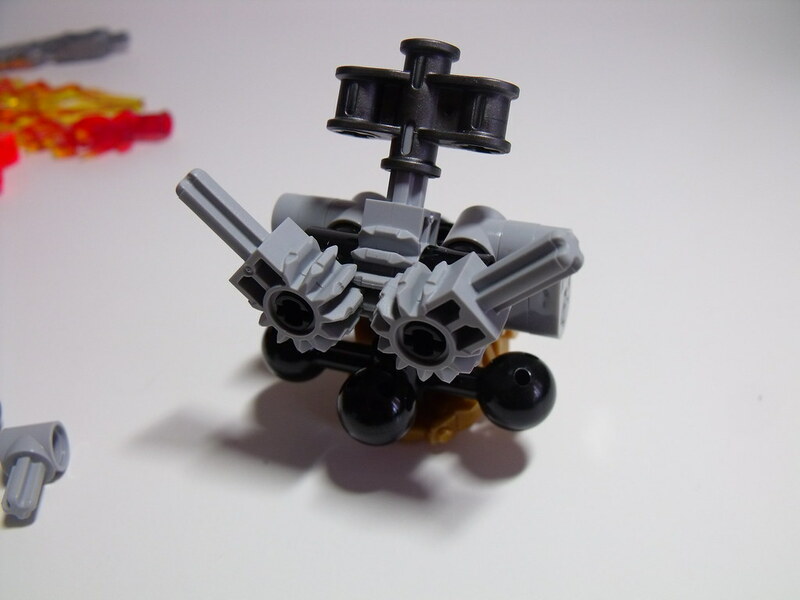 The most significant portion of this build is the use of the gear levers. 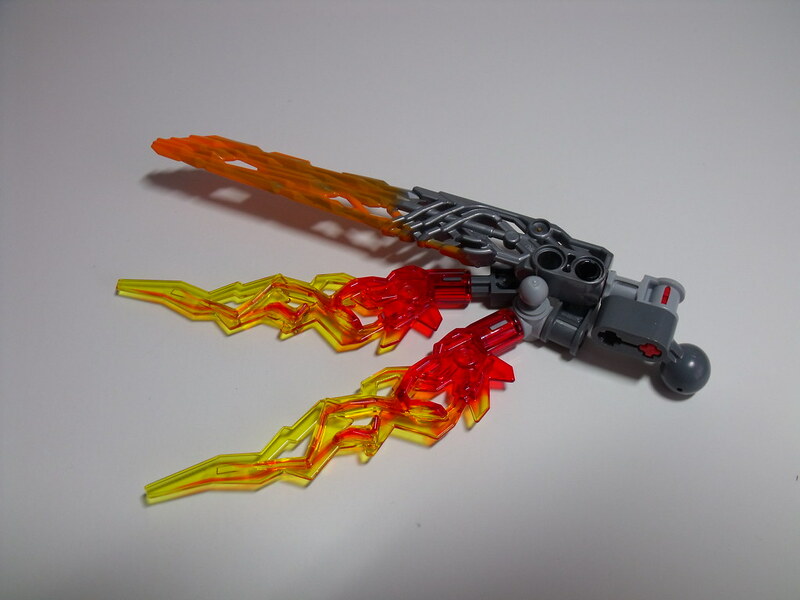 By moving the tail piece, the two limbs (wings) move back and forth, creating a flapping movement. 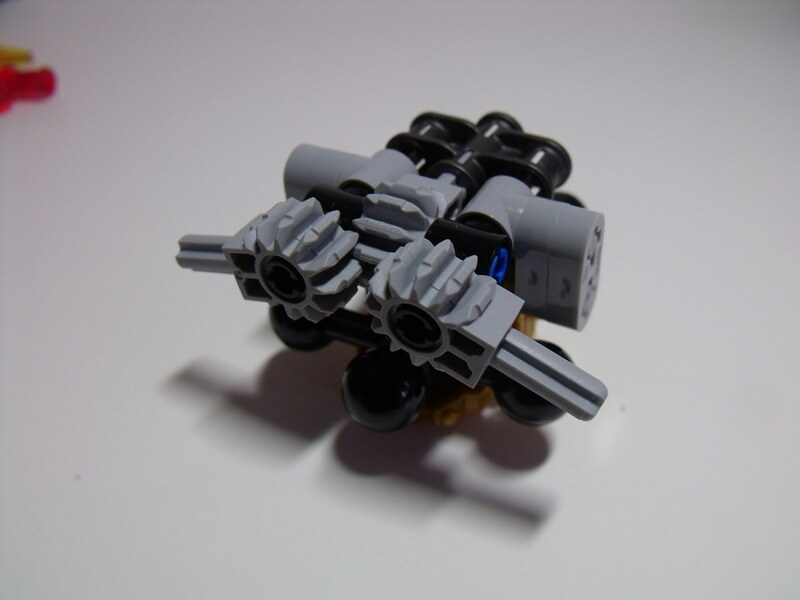 As long as you get the levers aligned evenly (not hard, but requires more attention), the effect works very well. The rest of the build is very straightforward. 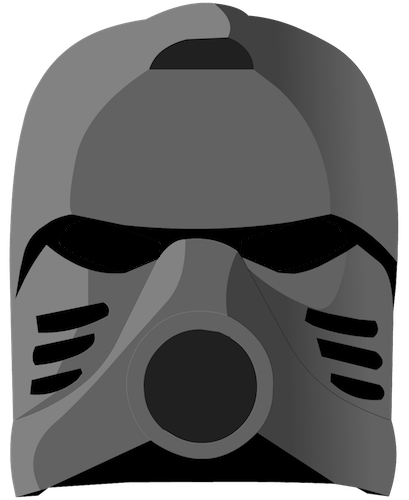 Like all the other sets released this season, it is structured about a basic torso, albeit the smallest one available. 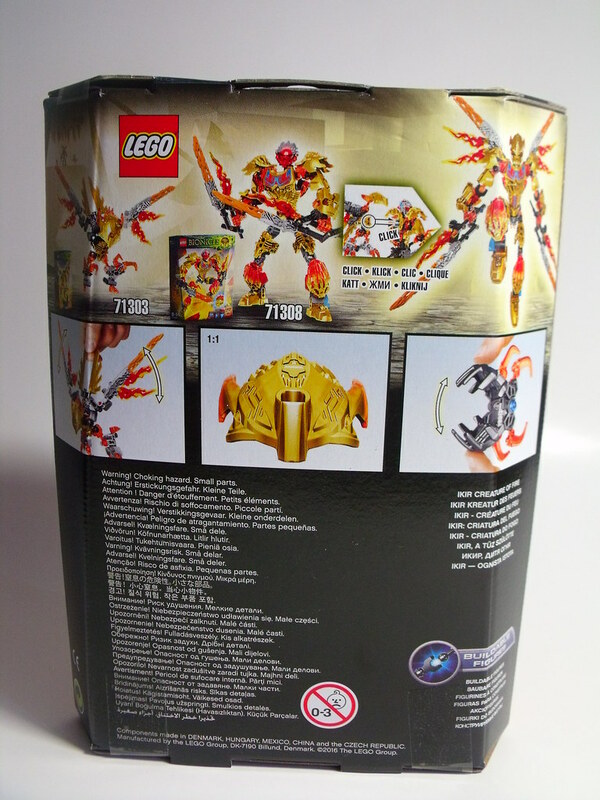 The wings however are articulated by a set of gear levers placed on the back. It takes a bit of work to get the gears aligned evenly, but once you do, the mobility is very nicely done. 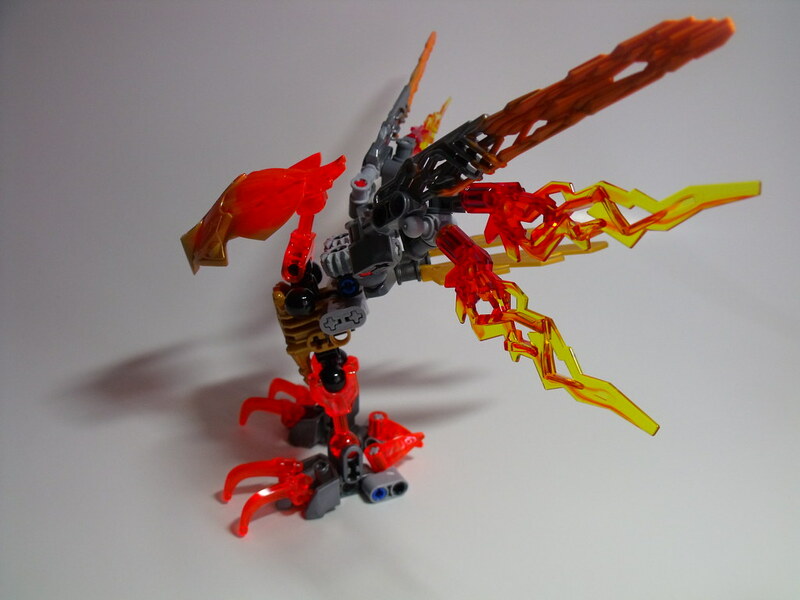 As far as wing articulation goes, This is one of the best example I've seen in BIONICLE. The rest of the build is very straightforward. As a whole, the model comes together quite nicely. 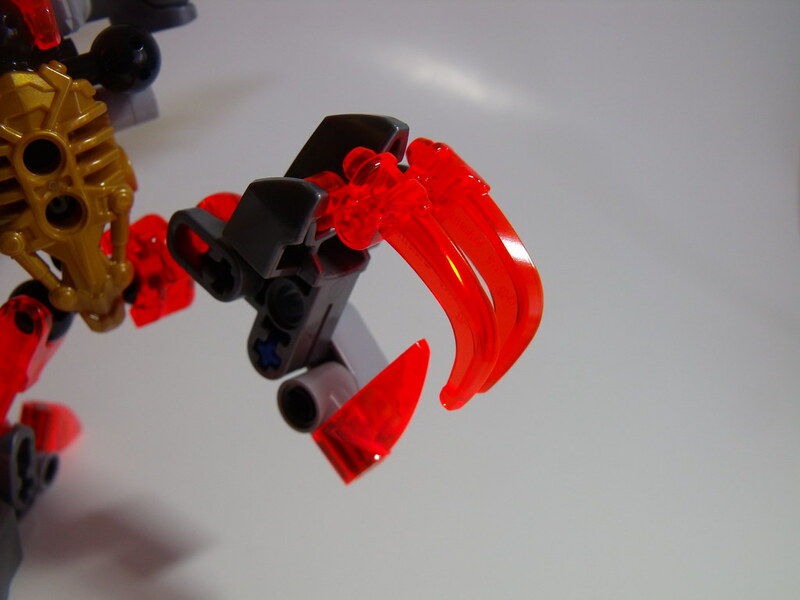 The talons in particular caught my interest, as each claw is articulate enough to fully grasp a small object. 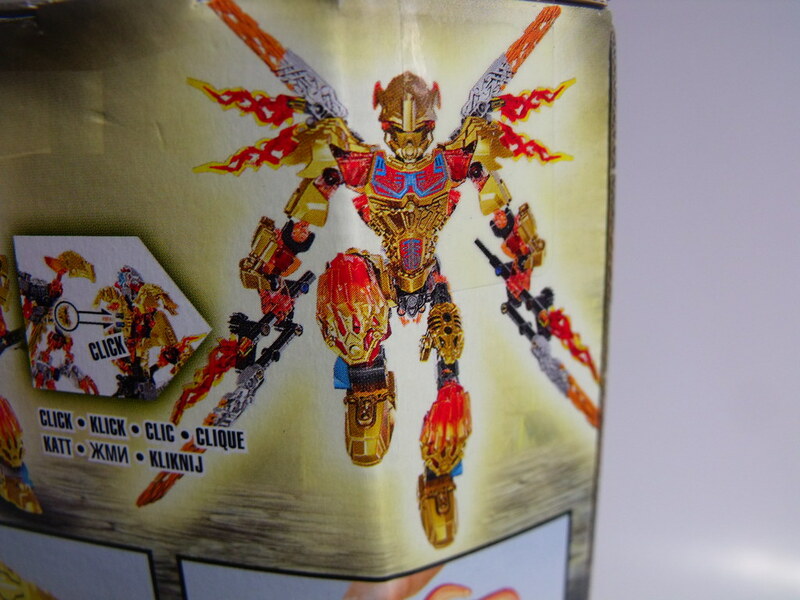 The back claw could have easily been immovable, but the added details are much appreciated. Did we like this set? This page was last edited on 12 May 2018, at 20:24.